Every year during the week of July 4th I am reminded of my time, many years ago, on a Coors beer truck. Working as a college helper during the summer months, the week leading up to the 4th was always the biggest and largest week of the year. We had one brand and five SKUs. These were the days of driver sales only, as there were yet no pre-sales. The drivers got paid straight commission per case. The company also employed a number of full-time assistances who also rode the trucks and were paid a small base, plus a commission, on what was sold. As part-time college help, we were paid by the hour, and the week of the 4th was by far the time period that we clocked the most hours. Around July 1st, the drivers started building inventory in all off-premise accounts in preparation for the holiday. The inventory build was in proportion to the day on which the 4th fell. If July 4th was on a weekend, then the build was huge. Obviously, if it fell on a Monday or Tuesday, the build was usually a little smaller. We did not have the 4th off unless it fell on a Sunday. July 4th was a regular work day. We would leave the warehouse around 6:15 am with a full truck. Our uniforms consisted of a white shirt, grey slacks, and heavy black work shoes. Depending on the route, it was not unusual to have emptied the truck within a couple of hours. Sometimes it was at the first stop where the account would buy the entire truck load of beer. If this was the case, we would have to unload the truck, than the driver would go back into the warehouse and reload while we would wheel all the beer into the cooler and rotate the stock. Somehow as we wheeled in the last stack of beer, up pulled the driver with yet another full load and off we would go to the next stop. Eventually we would finish the day’s route, handle any call-ins, and then reload for the third time, and go back out to the largest accounts again. These accounts would have sold almost half of what we delivered earlier so we would refill inventory again on the same day. Finally, the day would end and we would head back to the warehouse, usually around 10 pm. Our uniforms were covered in dirt and our white shirts black with sweat. We were exhausted and hungry and knew that we would have to be back the next morning unless the 5th fell on a Sunday. All these years later, I still think of these times on the beer trucks with fond memories. To me, begin a helper was the second best job in the beer industry. It was truly satisfying work. As we celebrate the 4th of July this weekend let’s also remember those in the beer industry who are working their tails off to ensure great beer gets to the consumer. Thank you for your hard work! 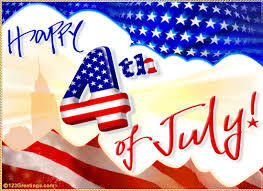 You are the legs of the industry and on the 4th; we will toast to your commitment and dedication! Happy 4th of July y’all! In 1975, Coors Brewing Co. felt it was time to enlarge its footprint and start expanding. At this point in history, the last time Coors had expanded was in 1966 with their move into the remainder of north and west Texas, thus putting them in 10 states and half of Texas. 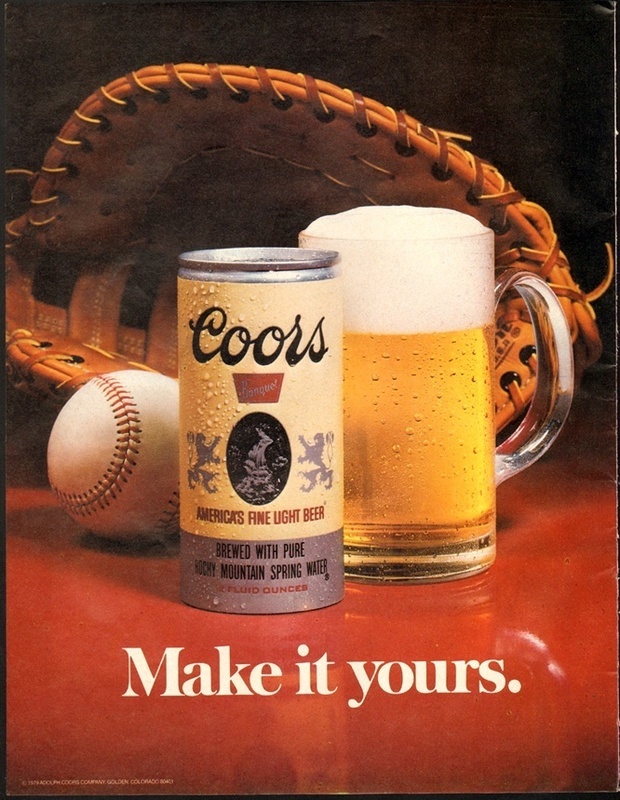 In some ways, Coors was not unlike today’s successful regional crafts. Yuengling, for example, with its current limited footprint, is interested in adding more states when possible. The main difference between Coors and these regional crafts is that Coors was the number one selling beer in all 10 states with huge market share, as much as more than 50% of market share in some cases. Given that success, Coors was in the market for stand-alone distributors who would be exclusive. In an effort to limit the size of these new distributors, Coors divided the territories thus creating four distributors in San Antonio and five in Houston. Forty years ago Coors began awarding distributorships to former mayors, sports heroes, astronauts, and business people. There were a couple of operations awarded to former distributors who sold out their existing house, thus enabling them to attain a Coors operation. One of these was awarded to Charles M. Duke, Jr., an astronaut whose accomplishments included walking on the moon. While running the operation for Charlie, the thought frequently crossed my mind as to why someone with his credentials: a fighter pilot, astronaut, and a man who walked on the moon, would ever want to be President of a small Coors operation. Running a beer distributorship in 1975 verses running one today is like night and day. A little over two years after opening his distributorship, Charlie sold out to the Azar family of El Paso. Coors North East or The Orbit Corporation was profitable and had a market share of approximately 13% when Charlie sold out. This was far from the success Coors had in their older established markets. It was not long before all four distributorships consolidated into one operation. Even with the finalization of the consolidation the Coors brand sold many times in San Antonio through the ensuing years. It was only several years ago when Glazer’s ponied up a small fortune and bought the distributorship, now a MC house with many brands. Recently, First Beverages Groups’ Townsend Ziebold stated that he believed there will be a little less than 25 craft transactions in the next eight months. He further stated that there are a number of reasons for this: high multiplies, declining margins due to flat pricing, more market investment push back from distributors, and Capex costs for expansion. Perhaps for these craft brewers it was the challenge of building a brewery and once complete, the reality of the beer business set in. Just like all these small Coors houses, as in Charlie’s case, with good money sitting there, why continue on and fight the fight? All these Coors houses sold or consolidated with Schlitz/Miller/others over the past 40 years going from small operations to huge multi-million case houses worth hundreds of millions dollars. Once these craft breweries sell out, it will be interesting to watch how they perform over the ensuing years, especially if the craft segment continues to grow. How much will their value increase? Time is the longest distance between two places…. Historically, the success of any brand of beer or brewery has been relative to its market share. Market share size was the true measure of a brand’s strength. While it market share is still discussed and used, it is no longer considered the main matrix, especially in the craft segment. As mentioned in previous posts, in 1980, Coors in Kansas had a 60%+ share of market. Schlitz still had a 40% share, but was slipping. When looking at that picture, one could believe that Schlitz’s share might bottom out at 20%. Of course, Schlitz imploded, sold to Stroh and eventually died. No one saw that coming any more than anyone saw InBev buying out AB in 2008. Published numbers today highlight size and growth of segments. Note the growth of IPAs and the number of not only established IPAs, but the number of new IPAs. When discussing craft brewers, market share is rarely highlighted but their annual production is. In fact, it seems that any brewer that is mentioned almost always has increased its production either at the current time or increased production is planned leading up to an expansion. The growth of crafts is being driven by all forms of media; and especially social medium which has created investment interest from the financial world. In the last month alone, there has been an increase in fielding questions from PE firms on the various distribution options available for craft brewers, including self-distribution. In addition, questions from lawyers interested in ways around franchise laws and contracts have been on the rise. By far the majority of new crafts are the very small or 5 bbl. 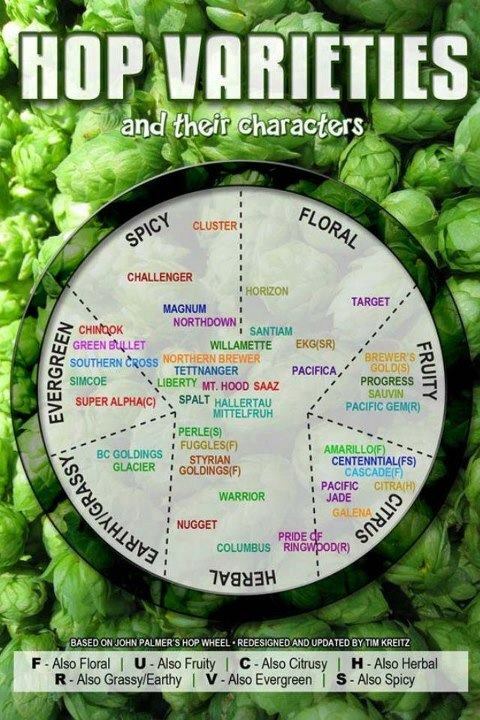 brewers who are mostly brew pubs or tap rooms. Some grow bigger, some stay small, but all are taking advantage of the craft growth. Recently published numbers by Guestmetrics, indicate that crafts are slowing in on premise sales. If true, then will the question becomes: is the off premise going to be the next battle ground for growth? In a recently published interview with Meg Gill of Golden Road Brewing Co. by Beer Business Daily, she commented that she needed help from some AB wholesalers in learning about the market, what are margins vs. markups and how to sell to chains. She stuck with it, learned the business and the brewery has grown and become viable, but the learning curve took quite a while. Her story is not unusual. While big money is kicking tires with potential crafts to buy existing volume, other money is moving to build new, state of the art, breweries. Not unlike BrewHub, but on a smaller scale. This money is buying not only the best equipment available, but the best and most experienced talent in the market. The idea is to not only make a quality product to start, but to limit the learning curve going into market. Some of these operations will be up and running within the next year or two. These start up breweries, if well-funded, have the potential to shake-up the market. How many of these types of startups become reality and how distributors react to them remains to be seen. What this could become is the preferred business model to the distributors for crafts verses the wait and sees, starts up, under financed, small mom and pop type breweries. Maybe a better description for these would be: hops in a box! By the mid-1990s, the success of New Belgium was permeating the beer industry. At the time the beer was sold only in Colorado, but sales in Arizona were forthcoming. New Belgium’s distribution model was to appoint wine and spirit houses on a statewide basis. To manage their sales, they outsourced that function using a broker in Denver. In 1995, As New Belgium grew; they hired JB Shireman to help oversee their sales. The next year they brought in a marketing pro in Greg Owsley. At the time neither JB nor Greg had any beer industry experience, but they did have a passion for the craft segment and New Belgium. By the end of the 1990s, New Belgium decided to enter Texas, and in keeping with their business model, they appointed Glazer’s the distributor for the state of Texas. 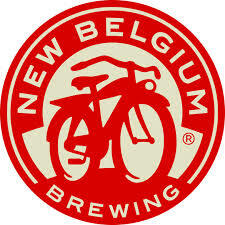 Having joined Glazer’s at the start of 1999, I was tasked with the job of rolling out New Belgium later that spring. At the first of the year a large group of managers and directors from Glazer’s visited New Belgium and both JB and Greg introduced the brewery to the team. It was during the months prior to the rollout that the brewery started to change its go-to market model by developing its own sales team. New Belgium hired two sales people with the now famous titles of Beer Ranger. One of these was Brian Kruger from Austin. The New Belgium team of JB, Greg and BK now managed this introduction which resulted in first year sales just over 500,000 cases. As New Belgium expanded its territory westward in the coming years, BK was soon promoted to Ft. Collins and worked with JB as more and more states were opened. All the while Greg worked to develop the now famous Tour de Fat bicycle events across the country. New Belgium’s dramatic growth is well documented. Both JB and Greg left New Belgium in the mid-2000s. JB became a bar owner and later went to work at First Beverage Group assisting crafts in the financial area. As we know he is a well-known speaker at beer meetings and conventions. Greg continued in the world of marketing, overseeing his own agency, The Storied Brand. Both JB and Greg continue to be very successful in their ongoing ventures. Last month it was announced that the third member of this team, BK was leaving New Belgium to head up the sales for Enjoy Beer, the holding company that will eventually include five successful crafts starting with Abita Brewing Co.
New Belgium has continued moving east and growing; now building a second brewery on the east coast. Under Kim Jordan’s leadership, New Belgium has become one of the industry’s leading crafts, but one can see the successful fingerprints of JB, Greg and BK. In the decades before the term line extensions entered the beer language, brewers focused on the handful of segments which drew consumer interest. Beside the premium domestic segment, there were popular priced beers dominated by local regionals. On a national basis, however, Old Milwaukee was the leader, followed by Busch in second place. Miller introduced Milwaukee’s Best, but Coors did not play in this segment. Another segment was malt liquor lead by Schlitz Malt, by far the quint essential leader. Budweiser tried to get in the game with Budweiser Malt but was unsuccessful. AB later had some success with King Cobra; however, no beer was able to top the success of Schlitz. Again, Coors did not have a malt liquor. In 1962, AB decided to pasteurize Michelob thus allowing them to package the brand and price it slightly higher than Budweiser, thus allowing Michelob be known as the super-premium category. To support this marketing strategy, AB developed a teardrop bottle which resembled a water droplet. More than anything this package defined the brand. For decades, Michelob owned the super-premium category. Competitors introduced multiple products in an attempt to grab a portion of Michelob’s market share. Schlitz introduced a brand named Erlanger which quickly failed. Pabst presented Andecker in 1939, but discontinued it in the 60s. Andecker was re-introduced from 1972 to 1986 but still, was never successful. Finally, Coors developed Herman Josephs Private Reserve which was originally introduced to compete with Michelob in the general market. Now, however, it is sold only in Colorado as part of AC Golden Brewing Co. Over the years other breweries introduced brands to compete with Michelob, but none were effective. A number of Michelob line extensions were introduced into the marketplace over the years as Michelob sales declined. These extensions were aimed at the craft market and included a Honey Lager, Pale Ale, Marzen, Pumpkin Spice Ale, and Winter’s Burbon Cask Ale, along with a Light, Classic Dark, and Black and Tan. Only a handful of these brands had any degree of success. AB even discontinued the famous Michelob teardrop bottle in 2002, only to bring it back years later with limited success. 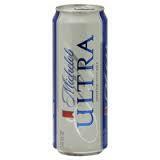 Then in 2002, AB introduced the line extension Michelob Ultra and the rest is history. Ultra now is the fifth largest AB brand and growing at a double digit clip. This year through May 17th, the brand continues to grow at +16.3%, which is on top of a +10.3% for 2014! Unlike Bud Light, Miller Lite and Coors Light, Ultra’s marketing is clear, consistent, and episodic. While other lights are declining in sales, Ultra, with its clear message of “A Superior Light Beer” and an active life style, has maintained its core message. The package clearly states that it is low in calories at 95, low carbs at 2.6 and with an ABV of 4.2%. The active life style message continues into Ultra’s packaging. Not only does the bottle look classy, the can screams light. A tall, thin can maintains the brands message. This marketing mirrors what Coors had done in the 60s and 70s. The Coors can was also a tall thin can with the message “Americas Fine Light Beer” and at the time Coors was the number one selling beer in its 10 states.